At Complete Pet Care, we understand that, just like people, pets have different needs at different stages of their lives. The care given to a rambunctious puppy or kitten is different from what a slower-paced, steadfast senior pet needs. Whether it’s cat or kitten care, dog or puppy care, we tailor all our recommendations to your pet’s specific life stage, so you can be sure they’re getting the best preventive care, pet vaccines, diagnostics, and treatment for each step along the way. Puppies and kittens may look like tiny versions of adult dogs and cats, but their brand-new, growing bodies need extra special care. For the youngest member of your family, the emphasis is on preventive care and establishing habits and routines to set them up for a lifetime of good health. Our veterinarians will perform a full nose-to-tail examination at each visit, including monitoring breed-specific conditions, checking your pet’s heart and lungs, joints, and other development. You’ll have the opportunity to discuss nutrition, behavior, microchipping, grooming and any other questions you might have about your new family member. 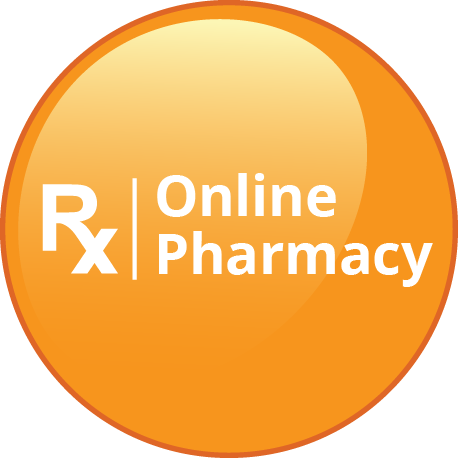 Contact us today to discover how we can help with your pet vaccines. Current vaccine protocol requires puppies and kittens to receive a series of three boosters of a combination vaccine – DAPP/DHLPP for puppies and FVR-CP for kittens. The immunization effect is cumulative and protects your little one from communicable viruses like parvo and distemper for puppies and feline distemper and rhinovirus for kittens. This is especially important because young pets are often socializing for the first time just as antibodies from their mothers’ milk wears off. 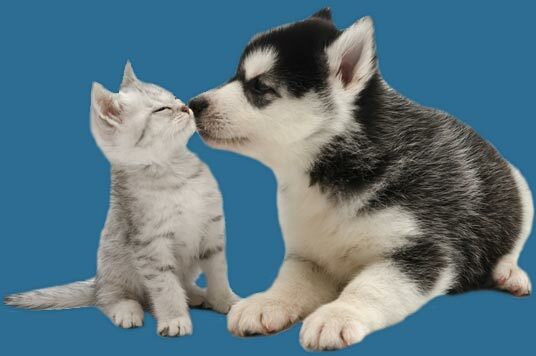 Rabies vaccine is given between 12 and 16 weeks to both puppies and kittens. We also recommend that puppies receive a Bordetella (kennel cough) vaccine, particularly if they’ll be attending behavioral training. Puppies and kittens often have intestinal parasites from nursing, so your pet will receive a mild dose of dewormer at each visit. We also recommend an intestinal parasite screen to detect additional parasites. A sample may be able to be collected at your visit, but it is much easier if you scoop up a bit in a plastic bag and bring it with you. Additionally, we’ll start your pet on monthly parasite preventives, including flea and tick prevention as well as protection against heartworm and intestinal parasites. Puppies and kittens need a diet much higher in calories than adult dogs and cats. Our veterinarians can offer nutrition guidelines to help you choose the right food for your pet’s size, breed, and individual needs. We’ll also discuss with you healthy feeding habits and appropriate treats for training and fun. Young pets, especially puppies, need socialization and behavior reinforcement as soon as possible to establish good behavioral patterns into adulthood. At Complete Pet Care, we’ll be happy to make recommendations for obedience classes and trainers as well as offer tips and tricks for healthy socializing, bite inhibition and house training/litter-training. With few exceptions, we strongly recommend that you have your pet spayed (female pets) or neutered (male pets). We have rescues and shelters that are beyond capacity. Let’s be responsible pet owners and not add to the problem. There are health and behavioral benefits to spaying and neutering. In female pets, spaying removes the risk of uterine and ovarian cancers entirely and significantly reduces the risk of mammary cancer. Additionally, it eliminates the risk of a serious uterine infection called pyometra. For male pets, neutering removes the risk of testicular cancer and can greatly reduce the chances of hernias and prostate problems. Behaviorally, neutering may help reduce aggression and roaming if performed early enough, and can significantly cut down on spraying by male cats. Pets should be spayed at 5 to 6 months before coming into heat or neutered within the first 12 months, unless otherwise discussed with your Complete Pet Care veterinarian. Now that your pet is fully grown, their needs shift to proactive maintenance. At Complete Pet Care, we partner with you to help keep your pet active and healthy by maintaining preventive care as well as keeping a close eye on any changes. With prevention and early detection of any potential problems, your pet can stay spritely and energetic for a long time. After the initial puppy or kitten boosters, most pet vaccines should be boosted yearly. Your pet’s veterinarian will discuss with you the best vaccine schedule for your pet and any additional vaccines they may need. Breed-specific screening on a schedule your veterinarian will set with you. This can include heart murmur monitoring as well as joint and disc screening. Adult pets may also need changes and tweaks in behavior and nutrition. Though it’s not uncommon for a dog or cat to turn their nose up at a favorite food or pick up a bad habit, any changes in behavior or diet warrant a call to your pet’s veterinarian. At Complete Pet Care, our team of highly trained technicians and vets are happy to speak with you about your concerns and recommend appropriate action. You can trust Complete Pet Care to help keep your adult pet healthy for years to come. With advancements in veterinary medicine and technology, we are able to have longer and happier lives with our pets. The way we see it, pets don’t age, they get more experienced. Our objective is to help your pet maintain mobility, manage and minimize chronic illnesses, and keep them vibrant and full of life. Senior pets, like senior humans, usually need a higher level of medical care even if they appear healthy. One way to do this is through regular physical exams, dental cleanings, grooming and diagnostic medicine. 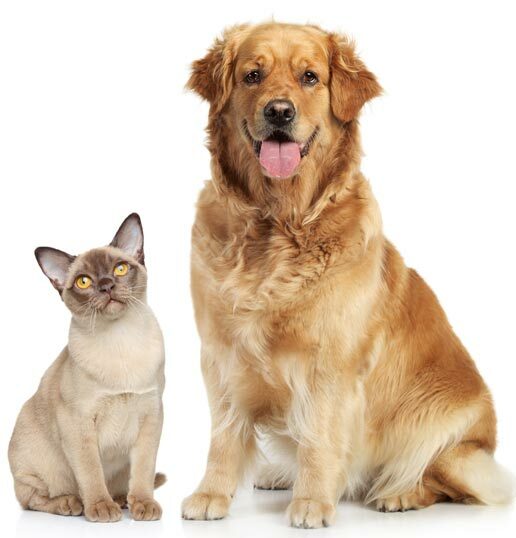 Our veterinarians and team at Complete Pet Care provide high-quality senior pet care. 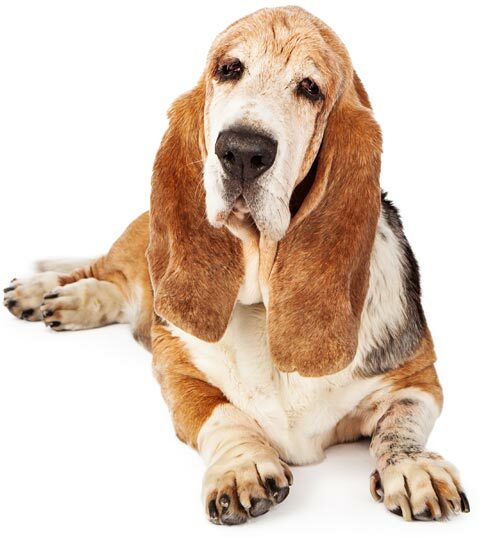 We’re prepared to examine your senior pet’s unique needs, which can vary by species, breed and gender. Senior pets in Raleigh, Wake Forest and the surrounding areas can depend on Complete Pet Care to keep them healthy, mobile and feeling great for as long as possible. Should I be giving my pet supplements and vitamins? Which ones? My pet is sleeping a lot. Is something wrong, or is this normal for their age? When my pet was a puppy, she ate all her food at once. Now, I feel like I’m only feeding her once a day and she’s nibbling throughout the day. Is that a problem? What are ways that I can help slow down my pet’s aging, if any? What’s this bump I just found on my pet’s paw/tail/side? Should I be concerned, or is this part of the aging process? Will I be able to tell if my pet is in discomfort or pain? If you already take your pet to our veterinarians for regular physical exams, that’s great. We look at your pet’s health history — including their age — and it can lead to a discussion around senior health when the time is right. If you do not currently take your pet for routine exams, and your pet is entering their senior years, now is the time to make those exams a priority. Our veterinarians at Complete Pet Care encourage you to plan for two routine exams per year for your senior pet. These exams are the most effective way to spot health problems early. This means your senior can be treated sooner and potentially live longer. Our Complete Pet Care team is prepared to perform and offer preventive health services for your senior pet so they can remain healthy. We are your partners in keeping your pet’s quality of life as high as possible, for as long as possible.